The Maritime Group (International) Ltd of London, UK, is pleased to announce that it has expanded its global services with two new subsidiary companies. It has expanded with the launch of The Maritime Group (Defence) Ltd and The Maritime Group (Security & Compliance) Ltd) as direct subsidiaries of The Maritime Group (International) Limited. Both new businesses are based in Liverpool, UK, together with G&W Maritime Ltd, from where they will serve clients in the United Kingdom, Europe and worldwide. The Maritime Group (International), known as TMG, is headquartered in Seattle, USA, with regional offices in Honolulu, Singapore and London. Captain Malcolm W Parrott, Executive Vice President of The Maritime Group (International), said: “The launch of these new companies allows us to focus our considerable expertise in defence, security and compliance. “It means we will be able to help greater numbers of clients protect and grow their businesses wherever they are. This especially applies to compliance and the looming Brextit when the United Kingdom leaves the EU. TMG (Security & Compliance) Limited is headed up Mr John Mark Rowbotham, formerly of HM Customs in the UK. It focuses on maritime and port security plus customs, VAT and marine taxation, including taxation in open registries and double taxation. The company is taking over a role formally provided by State 21 Limited during a two-year joint venture partnership. State 21 now concentrates on policing matters rather than maritime security, but will still be working with TMG (Security and Compliance) as and when required. TMG (Defence) Limited is headed by a former nuclear submarine captain, Mr Jonathan Powis. It focuses on key elements of maritime defence outside of war, including support issues, disaster relief, strategic consulting and intelligence. 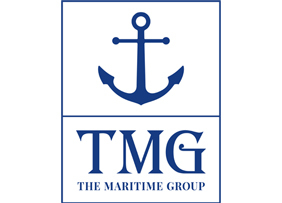 The TMG organisation is The Maritime Group (International) with headquarters in Seattle, WA, USA. The Maritime Group (International) Limited, London is part of that grouping. The Maritime Group (Asia) Pte Ltd in Singapore also successfully launched in January of this year as the company continues to expand. TMG is ISO 9001 Quality Management System accredited. Call +1 (260) 225 5864 and +44 (800) 955 1792 or email info@the-maritime-group.com and info@tmgeurope.co.uk for more details about TMG and its services.